Welcome to 5th Avenue Dental Associates, LLP. At our Bay Ridge dental practice, we provide comprehensive dental care for the entire family. For the past 30 years, we have been proud to provide outstanding dentistry to our patients from all over the New York - metropolitan area. 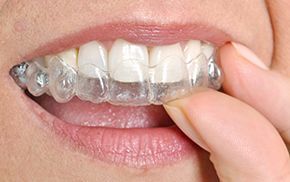 Using the latest technology, including digital x-rays, Biolase laser therapy and 3D cone beam scan, our state-of-the-art practice specializes in general, cosmetic and restorative dentistry. Whether you require an annual checkup, oral health maintenance or a smile makeover, our expert team of specialists will give you the personalized attention that you deserve. For your convenience, we are open 7 days a week and our answering service allows us to respond promptly to all dental emergencies. We accept most dental insurance plans, including all PPOs and for your convenience, we offer other financing options. As a thank you to our patients, we offer complimentary WiFi and cookies during your visit. Our treatment rooms also feature televisions, so you can lay back and enjoy your favorite TV show while we work. We believe that educating you about your oral health is among the most important things that we do. It is our pleasure to discuss all treatment options and listen to any concerns that you may have. We hope you will find this website to be a useful and interesting resource for all of your dental concerns. If you would like more information about any of the procedures that we offer or to schedule an appointment, please call our office at the number listed above. We are happy to assist you in any way possible so that you fully enjoy your dental experience and build a lifelong relationship with us. Millions of Americans are affected by gum disease, yet only a few actually seek treatment due to negative associations such as pain and discomfort. Laser gum surgery is not painful and results in a very minimal amount of bleeding. For the past 30 years, we have been proud to provide outstanding dentistry to our patients from all over the New York - New Jersey metropolitan area. 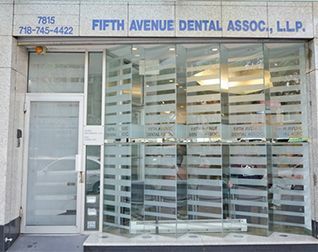 5th Avenue Dental Associates, LLP in Bay Ridge is committed to providing comprehensive quality care to patients of all ages and backgrounds. Our gentle dentists and expert staff will provide you with the tools and knowledge to make informed decisions for your entire family. We strive to provide the highest quality of dentistry to our patients. Our doctors are very gentle, compassionate and understanding. Family Health Dental of New York, PLLC is conveniently located in Staten Island. Click here for more information.